Asia has one of the highest social media penetrations globally, so it makes sense that social media is the go-to information source for employees in Asia. 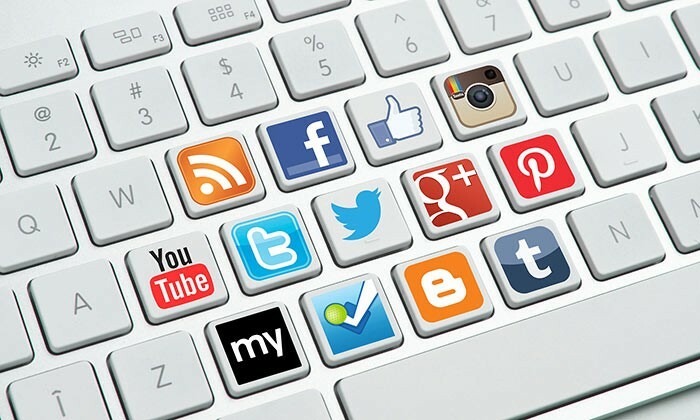 According to the Compass Index by Compass Offices, where 1,200 respondents across seven countries in APAC were surveyed, Hongkongers are the most social-media savvy in the region. In fact, nearly 60% of employees in Hong Kong said they used social media for news, while only 44% referred to news sites as their number one channel for information. Meanwhile, 54.6% of workers in the Philippines said they chose social media for news, followed by 18.4% who consider newspapers as their top source. 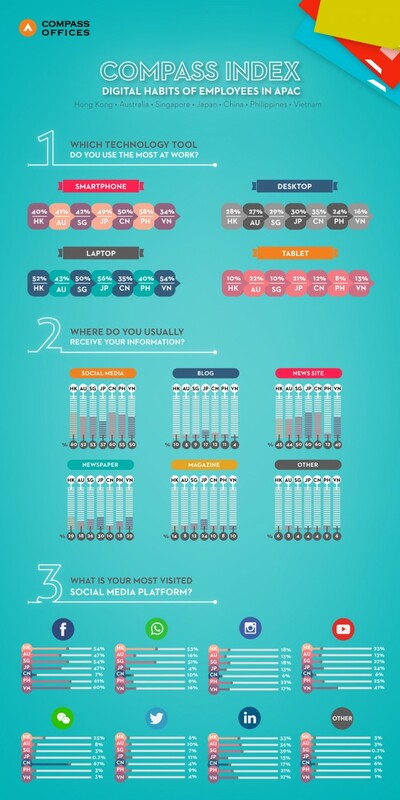 In Singapore, 52.5% listed social media as their go-to, while 50.3% looked to news sites. “Asia has leapfrogged in terms of mobile adoption, and it makes sense that our survey indicates that most employees are using laptops and smartphones to access their work. As the BYOD (bring your own device) movement is now widely accepted, we’re going to be seeing more interesting social trends and push towards flexibility in the workplace in the coming years,” said Andrew Chung, CEO of Compass Offices. With the widespread adoption of social media in Asia, companies should be able to leverage mobility and flexibility that technology can offer. “As social networks have begun to be used not just socially, but also professionally, employers ought to consider on how to make social media part of team communications and project collaborations,” Chung said. The Compass Index also revealed that workers in the Philippines (60.5%), Hong Kong, (53.73%) and Singapore (54.1%) all cited Facebook as their most visited social platform. YouTube came in second for the Philippines (25%) and Vietnam (41%). In Singapore, 51% of workers selected WhatsApp as another social platform that they use as frequently as Facebook.